These cakes are so pretty and they look so yummy! Do you ever just crave cake? My sister and I do all the time! Sometimes when we really want to, we'll just purchase a cake while out shopping for groceries. Not as pretty as the ones seen above, but still pretty yummy when you don't want to bake. 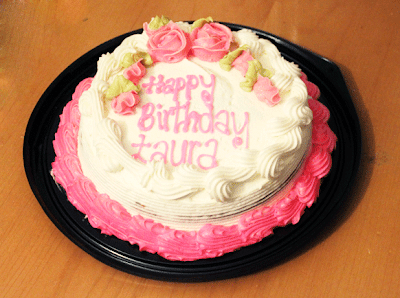 Last time we decided to do this, the grocer was waiting for us to pick one out (and probably have something written on it) so we decided to get "Happy Birthday Laura". I would have felt a little silly just grabbing a blank cake and walking away with it. I find the only time we buy "normal" cakes is when we crave it spontaneously. Normally we always buy icecream cakes for birthdays. And everyone seems to prefer vanilla. Classic. Yes pleeese, I'd like them all! Aren't they just wonderful? 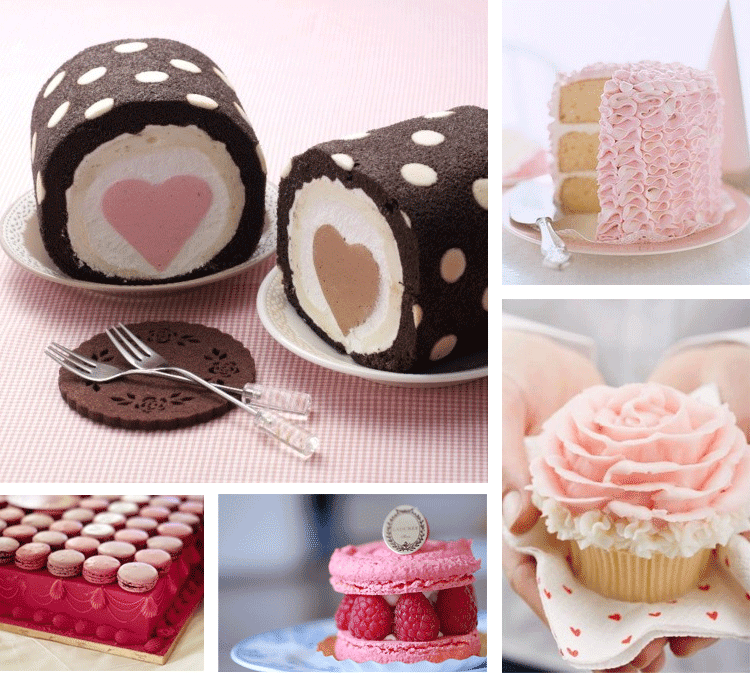 ...particularly the chocolate polka dot and heart cakes.